Vitamin K Shot: Consent or Deny? As with most topics in the field of obstetrics, the Vitamin K injection is very controversial amongst midwives, doctors, nurses, childbirth educators, and doulas. Many of you might be wondering what Vitamin K is and what function it has in our bodies. Simply put, Vitamin K is a fat-soluble vitamin necessary for blood clotting. Our bodies can’t make Vitamin K, nor are they very good at storing it. As you can imagine, it is very important that all of our blood-clotting factors are functioning well, or small injuries or internal bleeding can become a big problem. A Vitamin K deficiency makes it very difficult, or even impossible for our blood to clot and to stop active bleeding. Early VKDB happens in the first 24 hours of life. Early VKDB is usually seen in babies born to mothers who took medications that interfere with Vitamin K. Classical VKDB happens in days 2-7 of life, usually during days 2-3. This is when levels of Vitamin K are lowest. Late VKDB happens after the first week of life, usually during weeks 3-8. One of the most common predisposing factors to whether or not your baby is at risk for Vitamin K Deficiency Bleeding is if your newborn is breastfed. But wait, isn’t human mother’s milk perfect? The answer is a resounding yes! However; formula is fortified with synthetic Vitamin K, which does help to protect them from VKDB. All babies are born with very limited amounts of Vitamin K. Their levels are lowest at days 2-3 and do not reach adult levels until about 6 months of age. The levels are low because: very little Vitamin K1 transfers from the mother to the baby through the placenta and because babies do not have enough bacteria in their intestines to make Vitamin K. Virtually all babies with late VKDB are exclusively breastfed. When studies looked closely at infants who develop late VKDB, they found that mothers of these babies had normal levels of Vitamin K in their milk supply. It is thought that maybe some of these babies had a problem with the absorption Vitamin K from their mother’s milk. 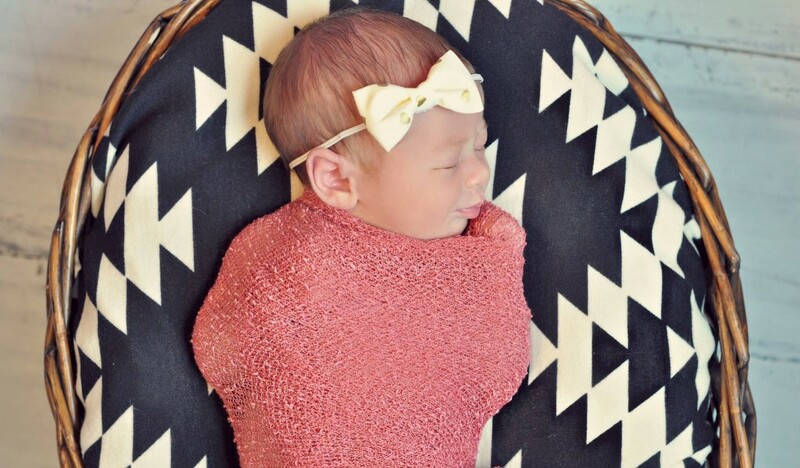 Meet Kaycie Paige, the daughter of a dear friend of one of our midwives. Her mother gave her a peaceful, serene, joy-filled home water birth. The birth was absolutely perfect, with no complications whatsoever. At this couple’s 36-week birth plan prenatal appointment, we discussed the topic of Vitamin K. We gave the couple our usual information (including an Informed Choice agreement about Vitamin K) – “Vitamin K Deficiency Bleeding is very, very rare. Although, when it does happen it is catastrophic and difficult to recognize and treat.” We remember the conversation like it was yesterday. Fast forward to 5 weeks and 5 days after this beautiful birth. We had a mom and dad calling us on a Saturday morning reporting some unusual behavior from the newborn. Kaycie had begun to spit up after some feedings. The parents reported that it seemed to alleviate some when Kaycie was held in a more upright position, and we determined that most likely Kaycie was dealing with some reflux. The parents were planning on taking Kaycie in to see their pediatrician on Monday, and were watching her carefully over the weekend. Saturday evening the parents reported that Kaycie’s symptoms had alleviated some, and that she was spitting up less frequently. However; on Sunday evening, the parents contacted us reporting that all of a sudden Kaycie was lethargic, difficult to wake from sleeping, and that she was having trouble opening one of her eyes. We (of course!) immediately told the family to take Kaycie into a pediatric hospital. Within two hours of that conversation, it was identified that Kaycie had had a stroke, and she was immediately taken into her first of (what would be) three brain surgeries. 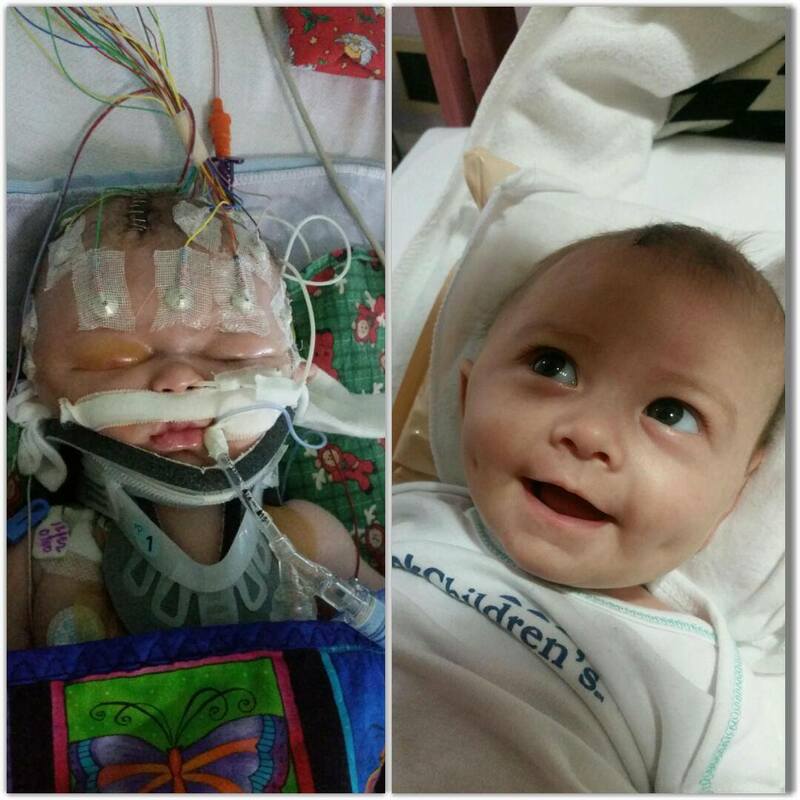 The surgery was a terrific success, but our sweet Kaycie was still in critical condition. Days later, we saw dramatic improvement in her motor skills, swelling, movement, etc. She had a miraculous recovery. Since then, Kaycie has made dramatic strides in her recovery, but has had one eye surgery (to remove a clot) and still has many physical and occupational therapy appointments – as well as many follow-up appointments with her medical team. Her medical team does not expect intellectual delays, and attribute her recovery to nothing short of a miracle. Her family has had to face seemingly insurmountable odds, and I know that they (as well as we) wish that she had the Vitamin K injection after birth. You can follow Kaycie’s miraculous story on Facebook at: BE BRAVE KAYCIE PAIGE! Here at Origins Birth and Wellness Collective we midwives have come up with some good alternatives to help moms and dads that have decided to give their newborn babies the Vitamin K injection. We only carry the preservative-free Vitamin K so you do not have to be concerned about unnatural substances going into your newborn baby. We offer administering the injection while your newborn is nursing and because of this, many times the baby doesn’t even cry! We tell this story not to fear-monger, but to encourage all of our clients and natural birthing community to constantly weigh the risks and benefits of any procedure, and to make (and give) TRUE informed consent regarding Vitamin K. Let’s not minimize the detrimental side effects because Vitamin K Deficiency Bleeding is rare. It’s always rare until it happens to you. With that said, we know that becoming a parent, while exciting, is also full of difficult choices. We are constantly open for discussion regarding what you feel is best for you and your baby, and will always support your decisions.